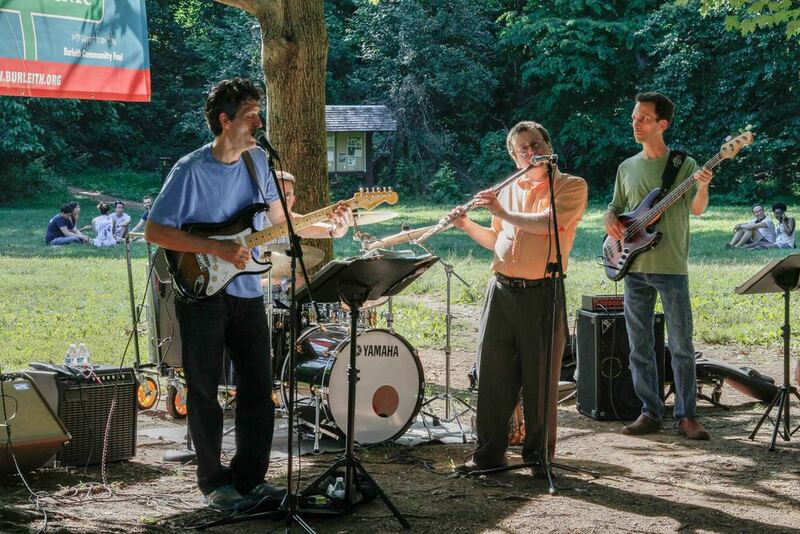 Set to a soundtrack of live music by the Danny Meyer Band, Burleith's summer picnic drew a crowd of young, old, and in between to enjoy beautiful weather, abundant food and drink, and activities ranging from the ever-popular Top Dog contest and raffle, to face painting and cookie decorating, to a petting zoo and hands-on demos from GERMS. Ward 2 councilmember Jack Evans and ANC-2E commissioner Ed Solomon also made appearances. New this year were information tables sponsored by DC Water's DC Clean Rivers Project, DC Department of Energy and Environment, Georgetown Neighborhood Library, Yates Field House, Burleith Garden Club, and the Historic Designation Committee. Thanks to Georgetown University, Town Hall, Lenore Rubino/REALTOR, Rocklands Barbeque and Grilling Company, Glover Park-Burleith Farmers Market, Dry Bar, Gardens for All Seasons, Hop, Cask & Barrel, Jetties, Palisades Vet Clinic, Shanghai Lounge, Surfside, Unleashed by Petco, Unum, and Yates Field House for their generous support. 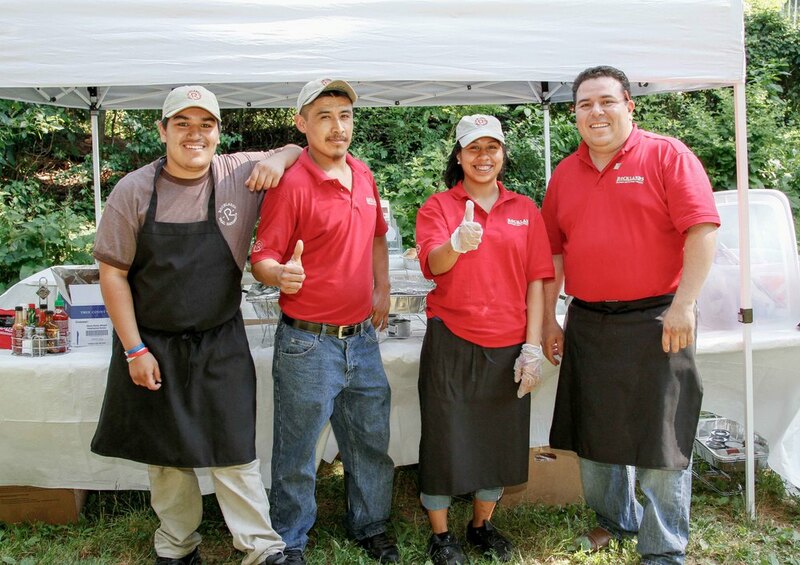 rocklands crew members moments before serving BBQ, chicken, ribs, and sides to the hungry masses.